Luberef will be the leading supplier of premium quality base oils and specialty products in the highest netback markets. To achieve excellence in production of base oil and specialty products. Attain high level in Health, Safety, Environment and Security (HSE & S) – Promote health of employees and safety of work place. Enhance Leadership and Workforce Competencies – Build foundation of capable workforce that can be attracted and retained from across the globe. Maximize Net Profit – Maximize the net profit and shareholder return by increasing its revenue and curtailing its cost through efficient and effective utilization of assets. Maximize Domestic Market Share and Maintain Customer Satisfaction – Strive to maximize domestic market share with the current and potential customers and continue to be their preferred choice. Improve Availability and Utilization of Production Facilities – Sustaining reliable operations to improve availability and utilization at both plants for meeting domestic and foreign demand of base oil. Improve Efficiency, Contain Cost and Strive for Operational Excellence – Strive to continuously improve efficiency of both plants and bring all aspects of industry best practices and bench marks. Maintain High Standards of Business Conduct, Accountability, and Governance – Full compliance to the applicable laws with honesty, integrity and uprightness of behavior in key areas. 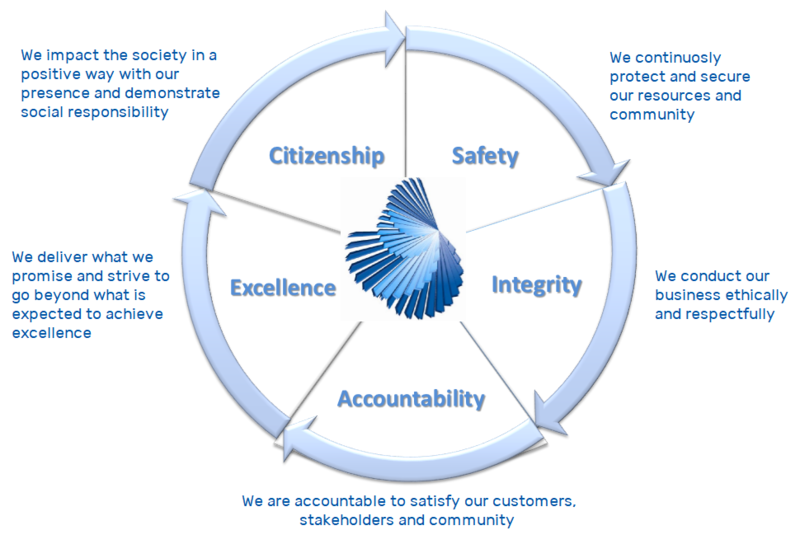 Remain Committed to Citizenship and Meet our Corporate Social Responsibility – Devote time and money, and participate in activities related to community development that have an impact on the welfare of the society in general and promotion of positive change. Saudi Aramco Base Oil Company – Luberef is a limited liability company established in 1976 and owned by Saudi Aramco (70%) and Jadwa Industrial Investment Group (30%). We are the regional leader in the production of base oils for use in lubricants and the sole producer and supplier of base oils in Saudi Arabia and export our products within the GCC. We operate two refineries, in Jeddah (1978) and Yanbu (1998) on the Red Sea coast of Saudi Arabia and currently produce 560,000 MT (3.9 MM bbl.) of Group I base oil including bright stock. We also produce by-products such as Asphalt, Extracts and Marine heavy fuel oil and Naphtha. Our base oil products are used as raw material for both domestic and international Lubricating blenders to produce a wide variety of finished product lubricating oils used in automobiles, heavy commercial vehicles and various machines. Luberef is committed to providing its customers with a comprehensive slate of high quality base oil meeting the latest specifications and has therefore embarked on a major expansion project to produce Group II base oils in Yanbu. Luberef’s Expansion project will double the production to 1.1 MM MT (7.9 MM bbl.) of both Group I & II base oils. Luberef will also be producing new By-Products such as Drilling oil and ultra-low sulfur diesel. 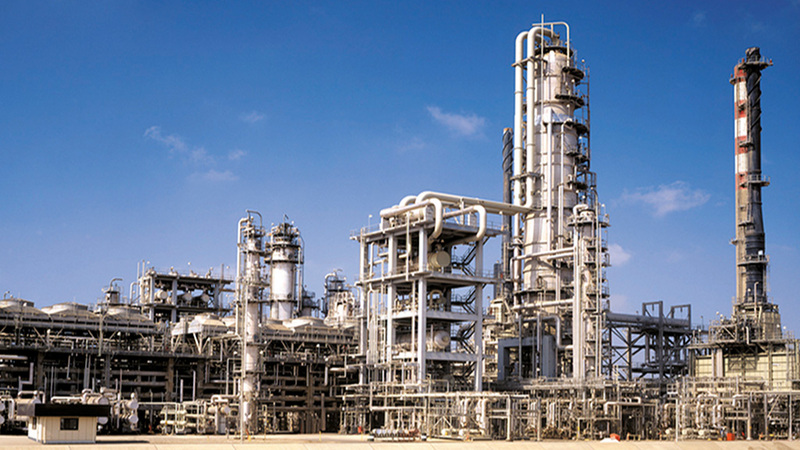 The increase in capacity and introduction of Group II base oil will consolidate Luberef’s position as a leading supplier within the Middle East and nearby export markets of India and Africa, as well as enable its customers to produce modern lubricants that support emission reduction and fuel efficiency. The new project will also bring economic benefits to KSA from growth in export trade and additional long-term jobs for Saudis. In addition, this project opens opportunity for investors, as Luberef will produce the main feedstock for process oil and Industrial oil. Finally, the expansion project has been successfully commissioned on December 18, 2017 with a total budget of $1.5 B and with over 47 Million man-hours without any Loss Time Injury.